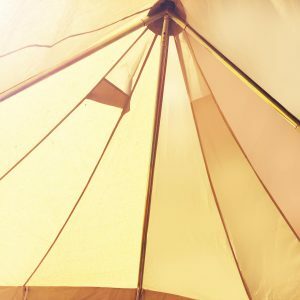 View our selection of bell tent camping accessories – including hangers for the centre pole in your tent. 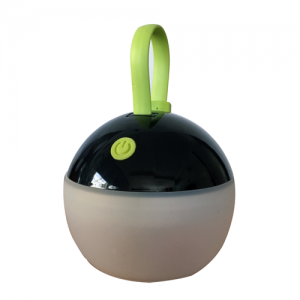 Perfect for hanging lanterns, torches, water jugs, drink bottles, clothing, speakers and more. 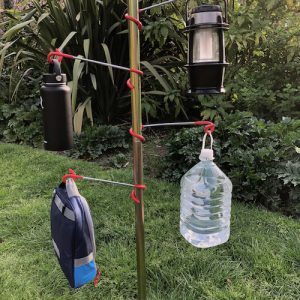 Perfect for hanging personal items and camping accessories such as: lantern, lights, torch, speakers, clothing, water jug drink bottle and more. Looking for the portable solar power for your camping set up? Our custom made Solar Panel is specifically designed to fit perfectly on top of any size Psyclone bell tent. Easy to attach onto the top of any bell tent – just pop it on top while you are setting up your tent. The Solar Panel attracts the sun’s rays and converts its energy into power. 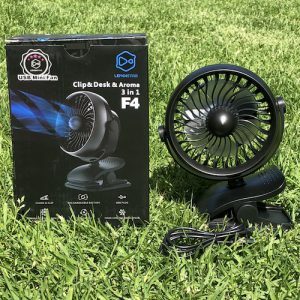 Connect to one of the two power adaptors and charge your devices, mobile phones, camera batteries, lights and any other camping accessory. 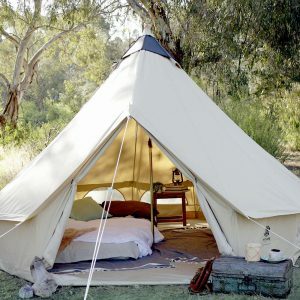 Want to create more space in your 3 metre bell tent? The Tri-Pole does exactly that! Our brand new Tri-Pole has three legs that fit along the inside walls of the tent without the central pole down the middle of the tent. This means you can now fit a double bed inside rather than just two singles. You won’t lose any height or any width in the tent.